You probably don’t think about your dryer vents very often but there are certainly benefits to having them cleaned. 1. Safety. This is probably the best reason to get your dryer vents cleaned because there are more dryer fires recorded every year. 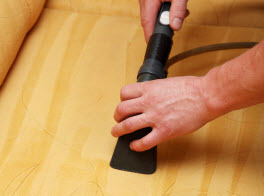 Having the vents cleaned reduces the chance it will happen in your home. The typical source of ignition is dryer lint and a lot of fires that occur from appliances are related to dryers. This includes both electric and gas dryers. Even the most efficient dryers can have lint accumulating in the vent line. Protect your home from fire and have your dryer vent cleaned every year. 2. Saves time. If you find you’re using more than a single cycle to get your clothes dry, the dryer vent line may be clogged and can become a fire hazard. Your dryer will work more efficiently after it’s has been cleaned and clothes will dry in one cycle rather than two. Doing laundry already takes time so make sure your dryer vents are clean to free up more time. 3. Makes clothes last longer. Clogged dryer vents create more heat and can be damaging to clothes. Clothing gets damaged because the heat breaks clothing fibers apart during the drying process. Clogged dryers also extend drying time and cause further damage. If you want your clothes to last longer than get your dryer vents cleaned. 4. Extends dryer life. Many homeowners think something is wrong with their dryer when they need to use more than one cycle to get clothes dry when the likely cause is a buildup of lint in the vents. Clogged vents will make your dryer work harder and cause it to breakdown sooner than you’d like. Clean dryer vents allow your dryer to work at top efficiency and will extend the life of it. You’ll save more money over time by having your dryer vents cleaned. 5. Saves energy. 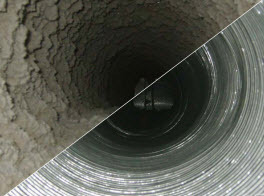 Clogged dryer vents result in longer running time and will use more energy. This of course costs more money and is a waste of energy. Lint that clogs the dryer vents can cause your dryer to stop for no reason. Professional cleaning will save you money because it decreases run time. 6. Removes allergens. Allergens in the home can damage the structure and cause health problems. 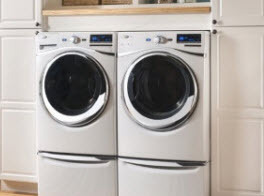 Moisture can cause allergens and pollutants to grow and if your dryer is taking too long to dry clothes, the clothes may be damp and leave traces of moisture behind. This can lead to allergens. Airflow is essential to the efficiency of the dryer vents and need to be unclogged. Moisture in the vents also mixes with lint to create a paste that will stick to the walls of the vents. 7. Prevents carbon monoxide poisoning. When gas dryers aren’t working efficiently, it can lead to carbon monoxide risks. Carbon monoxide gas is odorless, colorless and toxic. Dryer fumes can be harder to exhaust when vents are clogged. These fumes then become dangerous to those in the home. Professionals can remove any debris that gets stuck in the vents. Clean vents mean great ventilation and no health hazards in your home. There are many good reasons to have your dryer vents professionally clean. 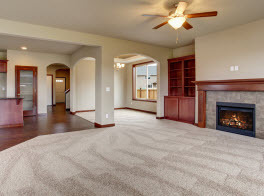 Contact Green Co Carpet Cleaning to schedule an appointment today!